Do you love the pear shape diamond, also a cut known as the tear drop diamond? 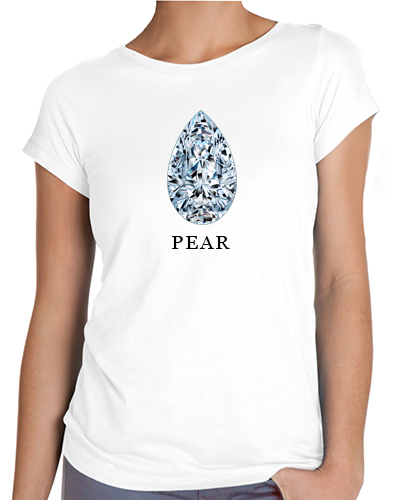 If you do then this Pear Diamond Shape T-Shirt from Ziamond is a must have. 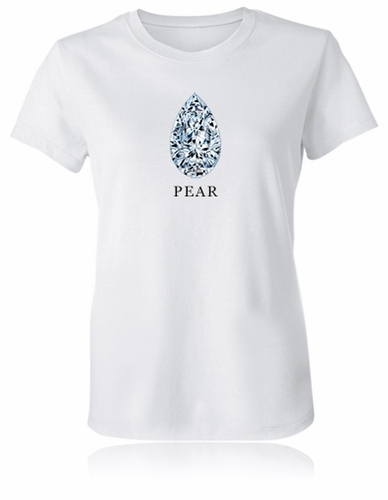 With this fun and brilliant pear diamond tee you can display your favorite diamond shape that combines a soft curve with a modern and geometric point. Pear shape diamonds have amazing brilliance and intrigue and the bigger the better. 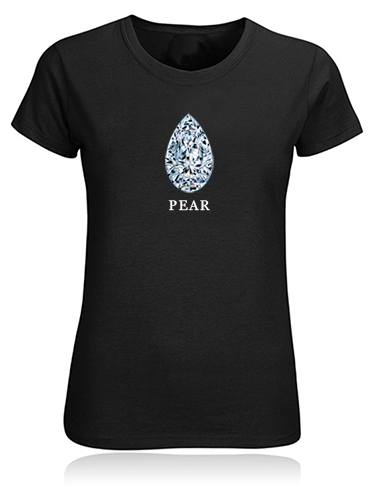 What does the pear shape diamond say about the personality of the person who wears it? Studies have shown that lovers of the pear shape diamond display some of the following personality traits; adventurous, gregarious, friendly, considerate, loves a party, and adaptable. If you are looking for a great gift idea for a person who owns a pear shape diamond or loves the tear drop shape gem, then look no further. 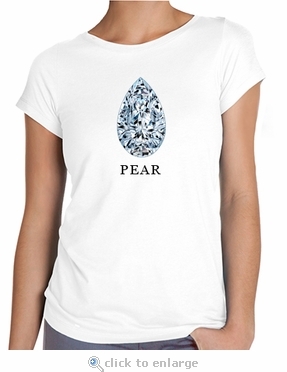 Every pear diamond image is a high resolution picture printed on the most up to date apparel printing methods on super soft 100% cotton fitted ladies shirts. These t-shirts come in sizes small, medium, large, extra large and extra extra large. Available in white or black color shirts, but if you are looking for a custom color not shown, let us know and we look into it for you.